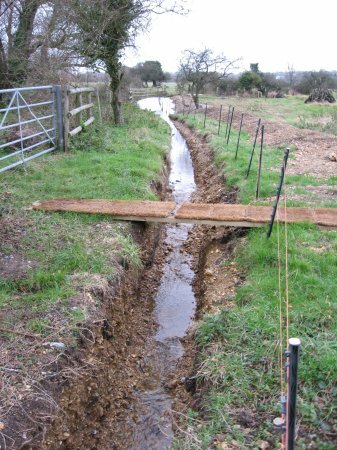 Restore an arm of the River Stour in Dorset, England (artificially blocked about 1965). Fit a pipe with valve over a distance of 40 yards in land owned by the author. Refresh with flowing water 1.75 miles of stagnant meander across the river floodplain. 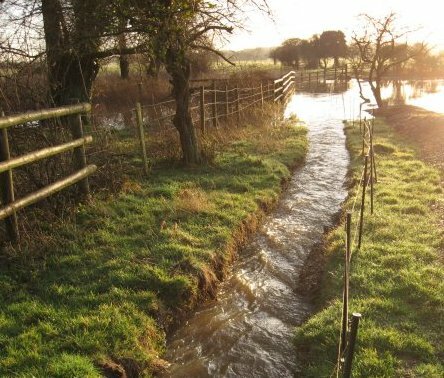 Benefit wildlife, tourism, farm animals and reduce flooding downstream. The Place, The Plan, The Problems, The Pay-off. Aerial photos, old maps and references. 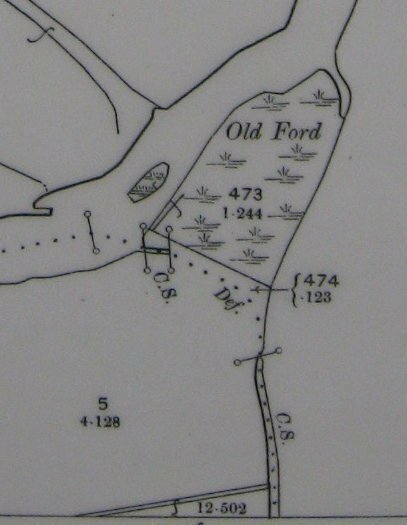 An old arm of the river was artificially blocked and became silted up. Can it be restored? 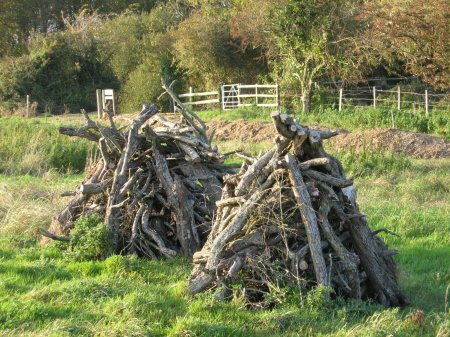 Tidying the Old Mill Stream, Oct 2007. First remove rubbish from the ditch and undergrowth from the blocked section. Unblocking the Old Mill Stream, Nov 2007. 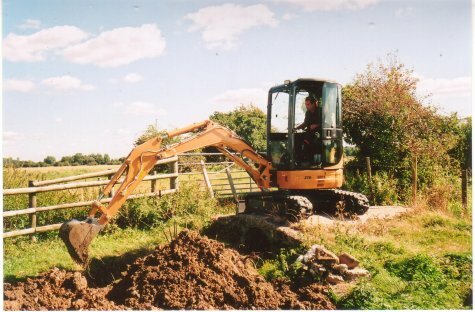 A digger was hired to dig out the blocked section and reconnect it to the river. how it works, with pictures. The new trench has a hump which controls water flow in both directions. Theory and early results, with pictures. Water is stored in the old arm when the river is high, and released when the river drops. The spoil heap quickly becomes green again. 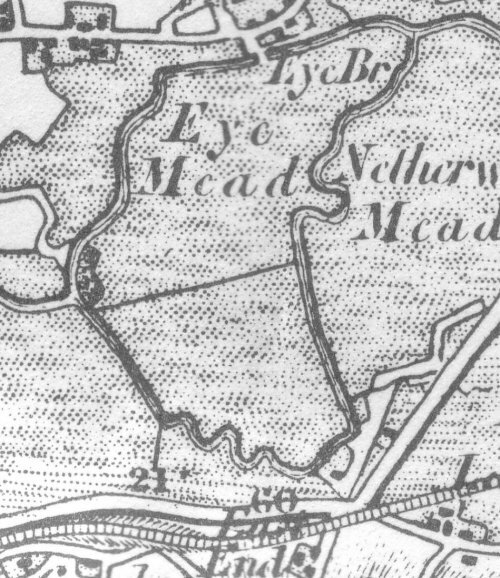 When was the Mill Stream ditch filled in? Compiled, formatted, hyperlinked, encoded, and copyright © 2008, All Rights Reserved.